Organic. Wine of Spain. The blend of two aromatic grape varieties - Verdejo & Sauvignon Blanc are organically farmed on ancient Spanish land. Our aim is to preserve the environment & so we do not use; herbicides, pesticides or fertilisers. 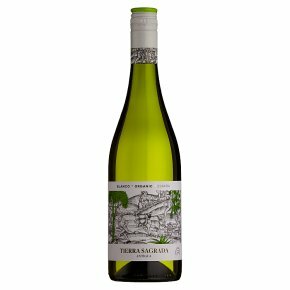 It is the unadulterated flavour from the sun-ripened grapes that deliver; a bright, fresh, crisp dry white bursting with citrus lemon & lime fruit.